Intel expanded the range of its ninth-generation desktop processors at CES 2019, at the same time as teasing future processor designs and technologies it intends to use, including "Lakefield" processors using a 3D packaging design. 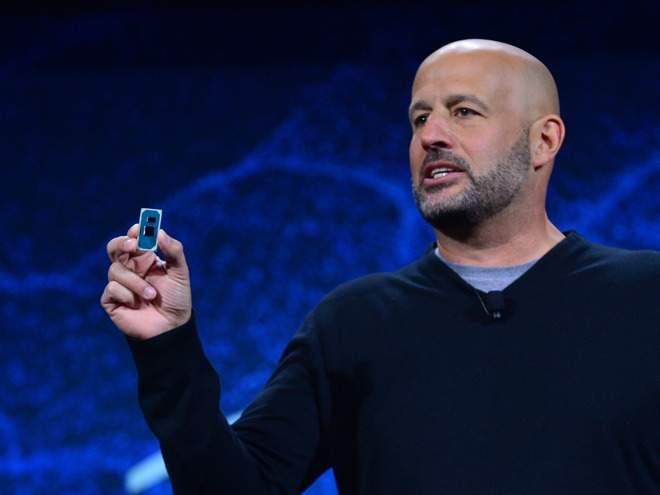 A total of six processors were introduced as part of Intel's keynote address, all as part of the company's ninth-generation of Core chips for desktop use. While six are incoming, details relating to only one, the Core i5-9400, was detailed by the chip producer. Launching in the first quarter, the Core i5-9400 is a six-core, six-thread chip with a base clock speed of 2.9GHx, rising to 4.1GHz when boosted. Made using a 14-nanometer process, the chip features 9MB of cache, a thermal design point of 65W, and onboard Intel UHD Graphics 630. The remaining undisclosed chips will cover the other areas of the product spectrum, including low-powered Core i3 chips and high-performance Core i9 versions. As an extra announcement on top, Intel intends to launch more ninth-generation chips in the second quarter, specifically mobile processors rather than desktop-oriented versions. Onstage, the company took time to show off its first "Ice Lake" 10-nanometer processor. Based on the "Sunny Cove" microarchitecture, Ice Lake intends to be a new platform for mobile PCs, and will be the first to feature Intel's Gen11 integrated graphics architecture and supporting Intel Adaptive Sync technology. It will also be the first to integrate Thunderbolt 3, support the Wi-Fi 6 wireless standard, and use Intel's DL Boost instruction sets to accelerate AI-based workloads. Low power usage is also promised, along with claims it can be used in "super-thin, ultra-mobile designs." Intel advises the first devices to come onto the market using Ice Lake chips will arrive in the 2019 holiday. Considering Intel's habit of pushing back its 10-nanometer chip releases, which has led to the company restructuring its manufacturing group and rebuffing reports it had given up on the fabrication process, it remains to be seen if the new chips really will make it into notebooks by the end of the year. The company also hinted at the production of chips using 3D stacking technology called "Foveros," under the codename "Lakefield." Using a similar concept to stacked memory, Foveros allows for Intel to design smaller sections of a chip as "chiplets," which can then be combined into a full system-on-chip with custom attributes. Lakefield uses five cores, combining one high-performance 10-nanometer Sunny Cove core with four Intel Atom processor-based cores, with other components including graphics, I/O, and memory also stacked on the same assembly. The system of stacking also means a smaller board can be created, in turn enabling for thinner and lighter notebooks and tablets to be produced. Intel is still working on Lakefield, and did not advise on when to expect the concept to be used in consumer devices.